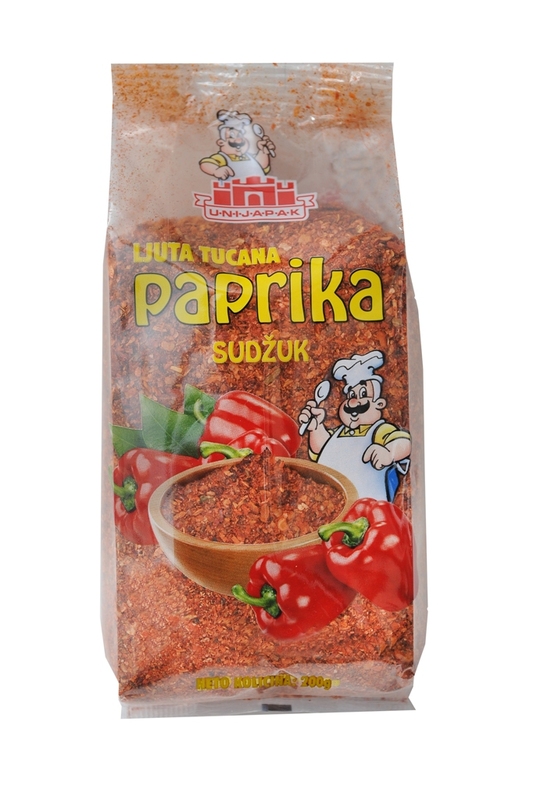 Minced red pepper is used as a spice which gives recognizable red color and aroma characteristic of Serbian traditional cuisine to meat dishes, soups and vegetable stews. A food additive with vegetables for chicken – it consists of common salt, sugar, flavor enhancers L-glutamate, dehydrated vegetables, soybean flakes, chicken broth vegetable fats and natural colors. You should add one tablespoon (3g) to a dish (1/4 liters) or, as you wish, and prefer. After the addition, if necessary, add some more salt and cook for 5 min. 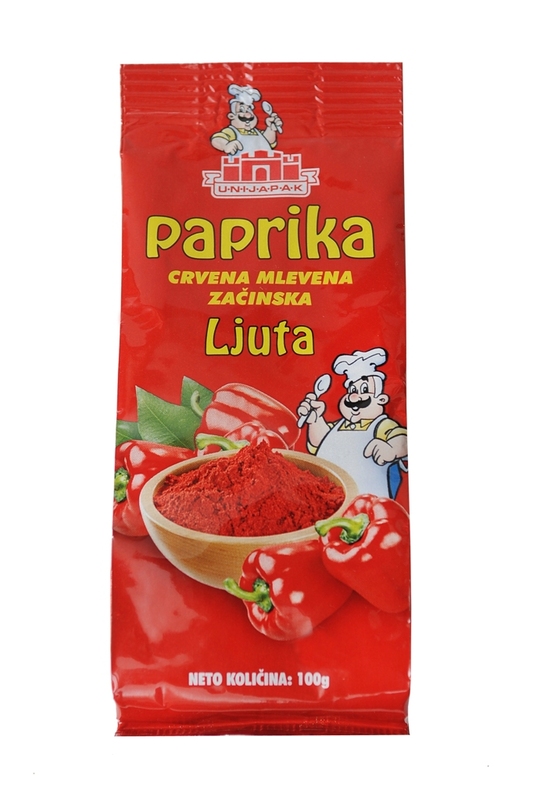 Seasoning enhances the taste and flavor of soups, stews and dishes with and without meat. Headquarters of the company is at the “EI Nis” complex. 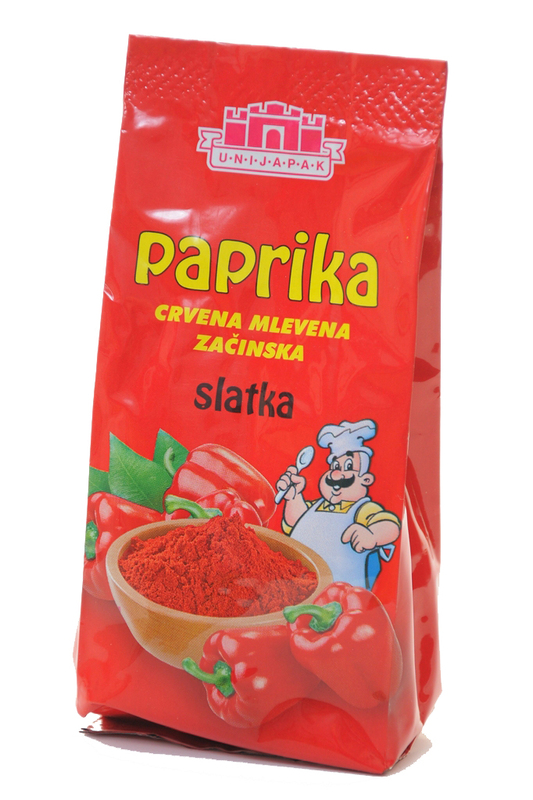 Bulevar Svetog Cara Konstantina br.80-86, opština Medijana, Niš.